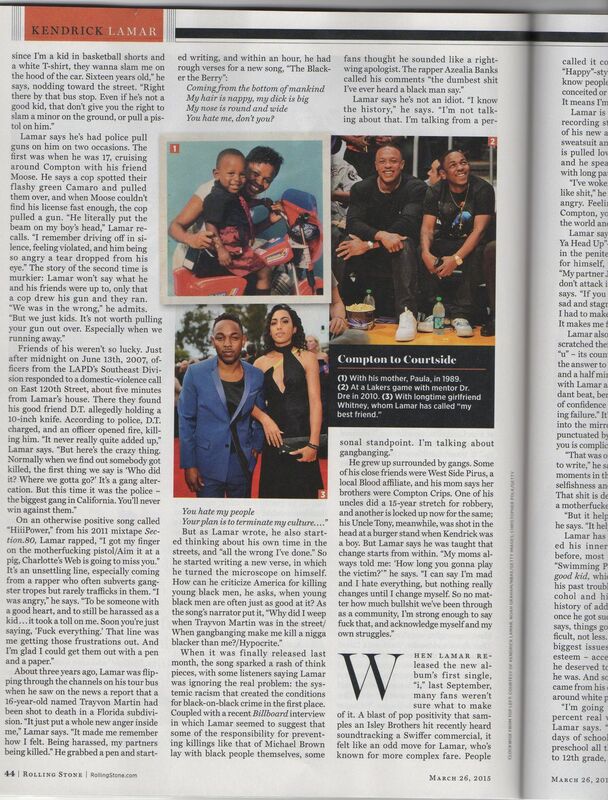 Three days after its haphazard release, Kendrick Lamar&apos;s To Pimp a Butterfly has already become legend. The album has received a uniformly positive critical response, and on Monday, it broke a major Spotify record. With 9.6 million streams, To Pimp a Butterfly earned the most streams from an LP in a single day. Make way for hip-hop&apos;s new undisputed king. Lamar absolutely deserves this. To Pimp a Butterfly is one of the most complex and insightful hip-hop albums ever to reach this wide of an audience. Its songs cover the full spectrum of emotions, from swagger to self-loathing to absolute elation. More than anything, it&apos;s a passionate exploration of today&apos;s most pressing hip-hop topics: racism, social responsibility and gangsterism. The album&apos;s larger narrative is the stuff of legend — quite literally. At the end, Lamar all but directly references the classic hero&apos;s journey to bring knowledge back his ailing community. It would make Joseph Campbell proud. The album faces up to the hard questions posed by the deaths of Trayvon Martin, Michael Brown, Eric Garner and others. Martin&apos;s death directly inspired the album&apos;s second lead single, "The Blacker The Berry," the rapper told Rolling Stone. And the lingering tensions color the rest of the album. 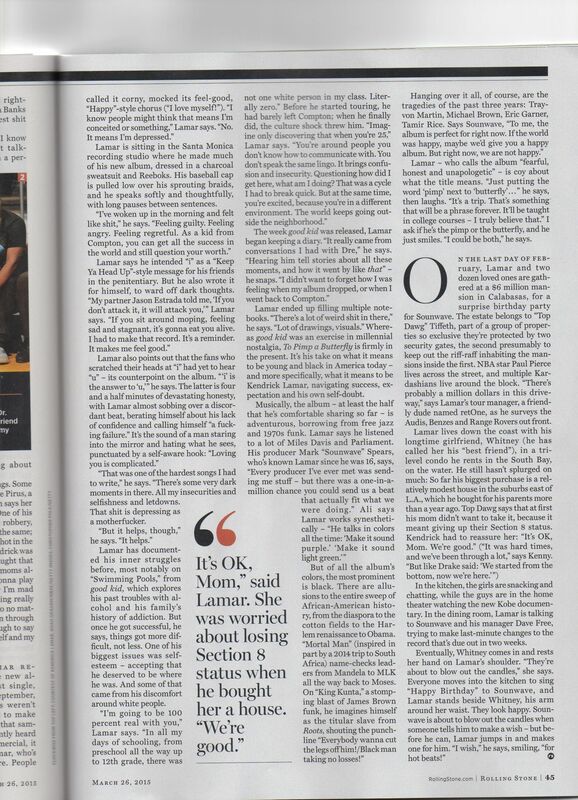 "To me, the album is perfect for right now," Lamar told Rolling Stone. "If the world was happy, maybe we&apos;d give you a happy album. But right now we&apos;re not happy." Spotify previous champs. To Pimp a Butterfly deserves its Spotify recognition far more than the acts that usually top the service. Before Lamar took the record, Michael Bublé&apos;s Christmas held it. Last year&apos;s big-ticket songs are even worse. Bottom-of-the-barrel hip-hop acts Iggy Azalea and Eminem earned the most streamed song and artist of the year, respectively, while Ed Sheeran&apos;s atrociously bland X was the most streamed album. None of those compare to what Lamar has just released. To Pimp A Butterfly is exactly the album our culture needs right now. The topics it raises are the difficult conversations our culture should be having. The fact that Lamar&apos;s ambitious music has caught enough attention to earn 9.6 million plays is heartening. The impact it&apos;s bound to have on music and culture is only just beginning.